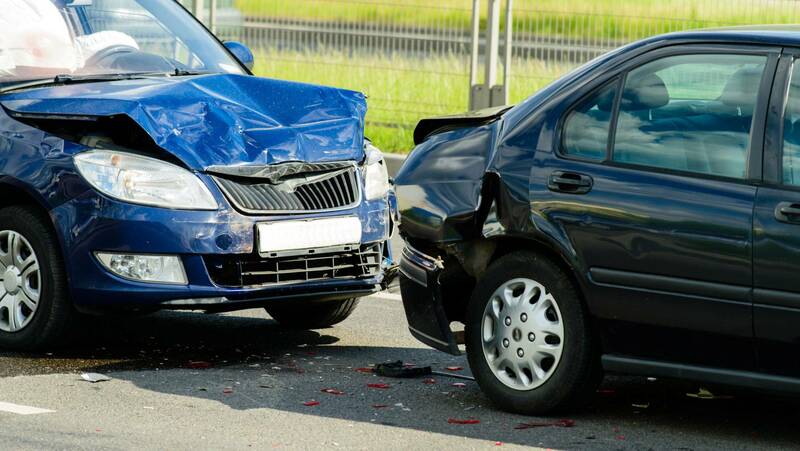 Injuries from motor vehicle accidents are among the most common of all personal injuries. With millions of people commuting to work on a daily basis, injuries are all but inevitable. While some of these may be unavoidable, too many are caused by negligence or recklessness. According to the National Highway Traffic Safety Administration, “A statistical projection of traffic fatalities for the first half of 2013 shows that an estimated 15,470 people died in motor vehicle traffic crashes.”* When people are injured because of another’s careless conduct, they need to be compensated so they can heal as best as possible. How do I deal with insurance companies? What should I expect after an accident? What should be done immediately after an accident? How do I pay for medical bills after an accident? How do I file a vehicle damage claim? What if the Insurance company refuses to pay? What causes West Virginia car accidents? Should you go to urgent care if you’re injured? What should you do if in an accident while pregnant? Our comprehensive knowledge and experience in litigation allow us to approach each case in our clients’ best interests. By working directly with our clients and undertaking the needed investigation for every case, we prepare ourselves for any negotiation or courtroom situation. We have helped hundreds of clients obtain millions of dollars and the justice they have deserved. In the aftermath of a car accident, everything can seem like a blur. An ambulance, a police car, an emergency room, urgent phone calls to family members may all seem to whirl by. Meanwhile, an injured person is likely to be in pain, in shock and/or unconscious. As soon as injuries are stabilized – or even sooner – you may be met by insurance company representatives. Whether they are from your own insurance company or the insurance company that covers a car or truck that collided with your vehicle, beware! Before you know it, an insurance investigator or claims adjuster may ask you to give statements – and ask to record those statements. Insurance company representatives may ask you to sign a release in exchange for a quick settlement offer. Do not be surprised to hear, “You don’t need to hire a lawyer.” Be careful! Remember that in many or most cases, insurers’ objective is to save money. They will most likely try to limit the benefits they pay out. Recorded statements that you make can be used against you in settlement negotiations or in court. It is too easy to make a mistake or hurt your case without realizing it. Once you sign a release and/or accept a settlement check, there are no “do-overs.” You may learn too late that a company refuses to pay to fix your car or questions whether medical treatments recommended by your doctors are medically necessary. Get the information you need from an advocate with your best interests in mind. As soon as possible after a car accident, a free initial consultation with a lawyer is one of the best steps you can take to make sense of what is happening. An attorney on your side can explain processes and procedures, interact with insurers on your behalf and help protect your rights. Police will come to investigate the scene of the accident right away, once they receive a call. If injured, you (or he/she) may go to a hospital with paramedics or in an ambulance. Assuming your car is damaged, it will be towed away. In the days that follow, you are likely to miss work as you receive necessary medical treatments. Depending on the severity of your injuries, you may be admitted to a hospital. Right away, questions will arise as to who will be paying your medical bills. Police investigators or other investigators will seek to determine who was at fault. If you are able, you will likely contact your insurance company – or a family member will do it for you. Was it a car, commercial vehicle, truck, bus or motorcycle that collided with your car? If another driver was negligent, did he or she have insurance? What evidence of negligence by another driver clearly stands out: drunk driving? Speeding? Inattentive driving? Texting while driving? How serious are your injuries? How long will you be off work? Will you need surgery? A car accident or other motor vehicle incident can be a stressful and scary affair. If someone is injured in such an incident, they may have a right to seek compensation through insurance claims and lawsuits, particularly if another party was responsible for the accident. Before considering legal action, however, there are some steps that should be taken regarding any car accident. First, individuals involved at the accident should remain at the scene until it is appropriate to leave. In most cases, you should not leave the scene until law enforcement officials or first responders have arrived and cleared you to do so. Leaving a scene can make it difficult to collect on a claim payment later and can even make you seem more liable in the accident than you might have been. Remaining on scene lets you provide your side of the story to police officers. You should also call the police to report the accident, especially if there is any damage or injury associated with the accident. Even if you feel damages may be minor, it’s a good idea to get the police involved to create an official record of the crash. Check on everyone involved in the crash. If you are not injured so badly that you can’t move, then check on other drivers and passengers. Avoid moving anyone with serious injuries or who is unconscious unless not moving them puts them in more danger. For example, people onsite may have to move an injured person before medical professionals arrive if a vehicle catches fire. Exchange insurance and contact information with all drivers involved. In some cases, you might also want to gather contact information for any witnesses to the crash. This could be valuable information if you later take a claim for compensation to court. If you were injured due to the negligence of another party, you have a right to recover compensation for the damages you have suffered. It’s helpful to know what damages are recoverable so you can get the maximum compensation for everything you have lost. In West Virginia, you can recover both special damages and general damages. Special damages (also known as economic damages) are damages that are financial in nature such as medical bills, lost wages and damage to your vehicle. General damages refer to losses that are not financial in nature but nonetheless have a significant impact on your life. These losses include physical pain and suffering, mental anguish, emotional distress, disfigurement, loss of enjoyment of life, inconvenience, the permanence of injury & annoyance. General damages are usually the largest component of your personal injury settlement or award. General damages are highly personal to you and the effect the injury has had on your life. For example, for a new mother, a back injury may mean that you are unable to pick up your child. For a runner, it may mean that you are no longer able to do the thing you enjoy. It takes an experienced attorney to help document your general damages claim and secure the maximum compensation. It helps to keep a personal journal to help document how the injury has affected your daily life. Paying for medical bills after an accident can be a problem, especially if you do not have medical coverage. However, there is usually an option to help you get the care you need. If the accident was the fault of another party, his or her insurance company is responsible for your medical bills and other damages. However, the insurance company will not pay medical bills as you go. Instead, it will issue a check for all of your damages, including past and future medical bills, after your case is resolved. Your auto insurance may have a limited amount of coverage, known as Medical Pay coverage in West Virginia and Ohio, and personal injury protection (PIP) in Kentucky. If you have medical coverage through your employer or a private plan, you can use that plan to pay your bills. Your insurance company will expect repayment once you recover compensation from the insurance company of the at-fault driver. Our attorneys can negotiate with your insurance company to ensure that you keep as much money in your pocket as possible. If you are eligible, Medicaid or Medicare will pay your bills. Like private or group health coverage, these plans will expect reimbursement after you recover compensation. There are doctors who will provide your care in exchange for a lien on your personal injury award or settlement. Our lawyers will draft a protection letter so your credit will not be affected. We can recommend and set up an appointment with a doctor for you. You will need to see a doctor and follow his or her instructions to document your accident-related injuries. Otherwise, the insurance company of the at-fault driver is not likely to pay much for your claim. How Do Car Accident Settlements Work in West Virginia? You begin establishing your case the moment you have the accident. If there is an injury or death, or if the property damage exceeds $500 then you are required by law to call the police and file a report. Do not forgot to document the scene. Take photographs and videos. You should also contact your insurance company as well as the other person’s. If there are any injuries, seek medical attention immediately. It is a good idea to at least get evaluated at the emergency department after an accident. Injuries don’t always show up right away. Under West Virginia Code 55-2-12 you have two years to file a claim on your car accident. If a person is killed in the accident, you have two years from the date the accident occurred to file a wrongful death claim. You may find yourself talking to the claims adjuster the same day as your accident. If not, it is usually within a few days. Their job is to investigate the accident and your claim, then negotiate with you to reach a settlement. Keep in mind, their goal is typically to move the claims process along quickly and offer you the lowest amount possible. If the offer is too low and you decide that you don’t want to settle with the claims adjuster, your next step is to get a West Virginia car accident attorney to handle the claim for you and, if necessary,file a lawsuit. A seasoned, respected personal injury attorney can get you a much better settlement than you can alone. The judicial process involves depositions and other information gathering efforts which can take six months or longer. However, you may not end up in a courtroom. You could settle out of court if agreeable terms can be met before your trial begins. If you do go to trial, a jury will determine a verdict on your case. Once the court has determined a verdict, it can be appealed. The opposing side may choose to file an appeal because they don’t agree with what the jury awarded . If this happens, you can expect your case to take longer to resolve. On average, it takes around two years from filing the motion for appeal to you receive your settlement. The timeline is dependent on the case, but your attorney can give you better idea of what to expect. Dealing with an insurance company over a vehicle damage claim can be difficult when you are laid up after an accident. If we are representing you in your personal injury case against the at-fault driver, we will handle your vehicle damage claim without charge. In West Virginia, if you are injured in an accident that was caused by another driver, you are entitled to have your vehicle repaired at a body shop of your choice. If the cost of repairs exceeds the value of your vehicle, you are entitled to the fair market value. You are also entitled to a rental car while your vehicle is being repaired or for a reasonable amount of time while you are buying a new car. Our lawyers will negotiate with the insurance company on your behalf so that you can concentrate on your health and your family. Recovering from an accident is difficult enough without having to deal with the hassle of vehicle repairs and insurance companies. The most important issue after an accident is obtaining the medical care you need and following through on your doctor’s treatment recommendations. If you have suffered a serious injury, your personal injury claim will be worth much more money than your vehicle damage claim. However, if you fail to follow up on your medical treatment, the insurance company will assume that you are not injured, so let us help you maximize your recovery starting with repair or replacement of your vehicle. According to a study conducted by the Auto Insurance Center, most car accidents in West Virginia that result in fatalities occurred due to a vehicle’s failure to remain in the proper lane. According to the study, which relied on data from the National Highway Traffic Safety Administration, leaving the proper lane was the top reason for car accidents in 28 other states as well. The data used in the study was recorded from 2009 through 2013. Top reasons in other states for fatal car accidents included reckless driving, driving in the oncoming traffic lane, operating equipment that didn’t meet requirements, making improper turns, failing to adjust to conditions or road obstacles, over correcting and failure to yield. When comparing West Virginia with other states, the Auto Insurance Center notes that West Virginia is more affected by one of the above reasons than other states. West Virginia ranked top for accidents that were caused by driving on the wrong side of the road, even though that was not the most common accident type in the state. The AIC calculated the top state for each factor based on the number of crashes involving that factor compared to the population of the state. The AIC also looked at drunk driving, speeding and weather-related factors for fatal accidents. West Virginia ranked above average for the number of fatal accidents related to drunk driving, but it was not in the top five. The state had the third-highest number of fatal accidents related to speeding. Likely weather factors for accidents in West Virginia include rain, snow and sleet. Regardless of the factors relating to a fatal motor vehicle accident, grieving loved ones are left with a need to recovery. In some cases, recovery might include financial issues. The legal system provides a way for loved ones to seek compensation for their losses if someone else is liable or at-fault in a fatal vehicle accident — even if weather or some other factor was also at play. Once you decide to work with an attorney at Johnstone & Gabhart, LLP, we can take the burden of communications with insurance companies off your shoulders. Your medical bills will go through our law firm. We will be the ones to communicate with insurers and medical care providers on your behalf. Our 50-plus years of experience allow us to confidently guide you through the process of pursuing maximum available compensation for you. Learn what to expect in a car accident case and how we can help. To get in touch and schedule a free initial consultation with our lawyers, call 877-416-5457 or email the firm.